What do you do when you have blackberries left over? That was my conundrum after I had a box leftover from my slow cooker blackberry jam. – The recipe also works with strawberry jam. I think 2 smoothie recipes so close together is so shows a lack of imagination on my part. 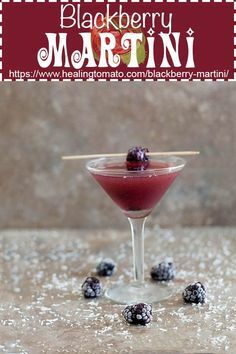 Since it is so close to the end of the year, I thought I would create a cocktail recipe. A fruity recipe is exactly what December calls for because drink recipes are in demand now. 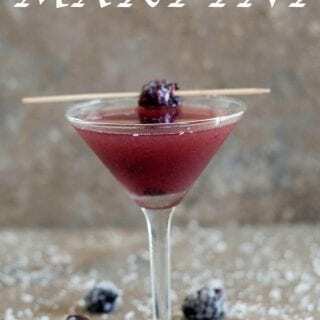 This one is a gin martini recipe because I thought blackberry jam and coconut rum worked better with it. 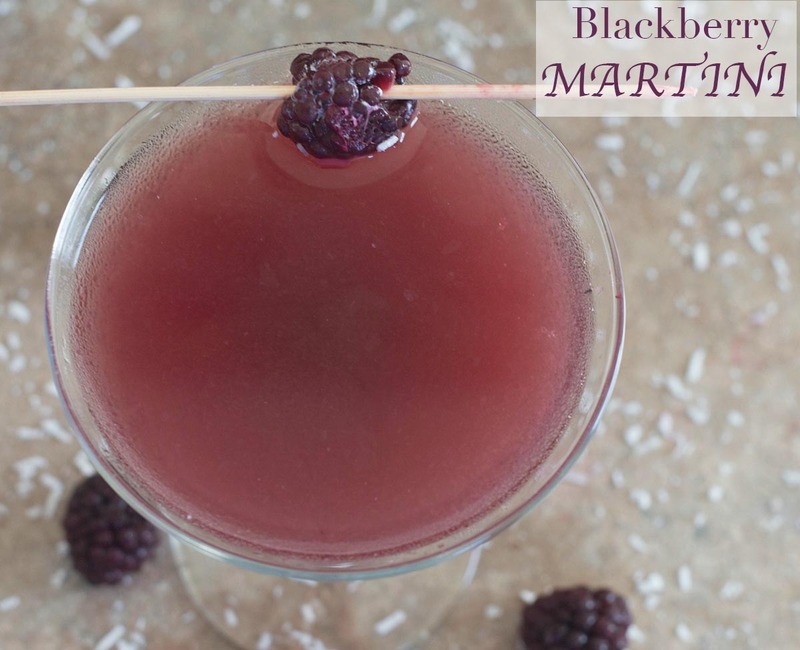 Can you believe that blackberries are great in jam recipes and great in cocktails? They rare definitely versatile and don’t be surprised if you see a completely different recipe with them in it. Instead of using fresh blackberries, I used my blackberry jam. 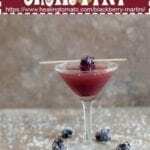 It was freshly made and has all the ingredients that I you would use in a blackberry martini. Finally, I garnished it with frozen blackberries but you can garnish it with fresh blackberries. So, come over on New Year’s eve and we will celebrate the new year with this recipe. Or, come over for happy hour and we will toss back a few. What is your favorite fruity drink? 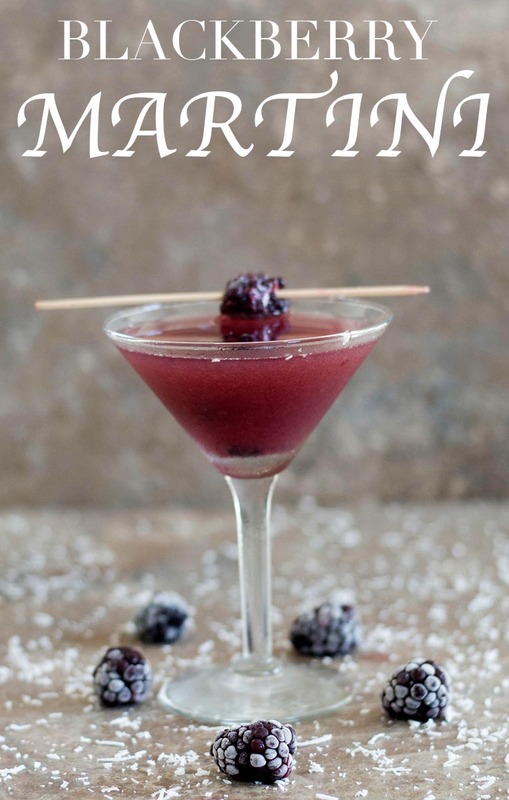 Blackberry martini recipe made with gin, coconut rum and pineapple juice. Sounds absolutely heavenly! We grew blackberries on my parents farm in Connecticut. 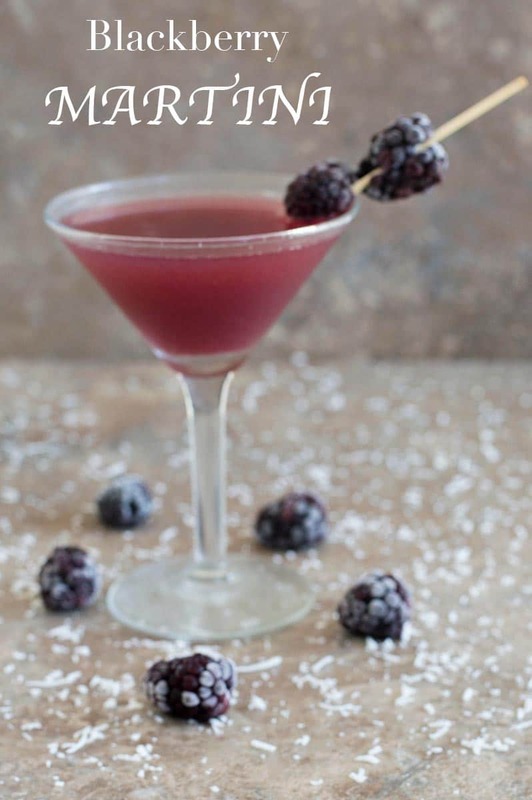 So this blackberry martini sounds divine!